Join us in a fundraising golf tournament at Stonecreek Golf Club on May 4, 2019! Knights of Columbus Scholarship Fund which is awarded to students entering Catholic high schools, Catholic colleges, and Arizona state colleges. St. Vincent de Paul Society which serves local community members in a number of ways including providing financial assistance, resource referrals, and food for the hungry. First Way Pregnancy Center which provides free resources that support life affirming choices. This is accomplished through a loving and non-judgmental approach with peer counseling, education and practical services. Register & Pay Using the Form Below. Please fill out the form completely and click Submit in order to be taken to PayPal in order to process your payment. 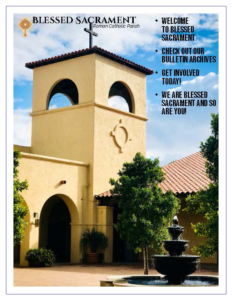 For any questions, please call the Parish Office at (480) 948-8370. Unable to attend, but would like to donate? Select Bogie Sponsor below and add a donation amount. Thank you for your generosity!